Are Greenwich & Bexley Councils Taking Maximum Advantage of Crossrail? Work on Crossrail continues apace between Abbey Wood and Plumstead. New track is down and trains will be using it from tomorrow (Monday 16th June). The not particularly exciting pic above shows the track heading to central London from Abbey Wood. Trains will veer left onto new track that has been laid over the past few weeks. The link to the old track is already cut, as can be seen by zooming into the pic. Sadly the quality isn’t too good as it was taken on a not very good phone. I’ve recently found a report which casts a poor light on Greenwich and Bexley Councils ability to take maximum advantage of Crossrail and may be letting opportunities go to waste. A recent Future of London Report on how communities and towns can take advantage of the benefits has some worrying comments. They are concerned with how both councils have failed to draw up a master plan for cohesive planning. A master plan for the area will set out a clear framework for developers offering guidance in what can be built. It would also allow local people and business a say in future development. It is not a panacea to all problems, and we have seen Greenwich Council allow developers to ignore the carefully crafted (and expensive to formulate) master plan in North Greenwich. However they do offer an important role and a lack of movement on this is bizarre. Development plans are already happening in the form of the Sainsbury’s supermarket, hotel and housing by the station given permission last year. In addition Peabody Homes have taken over Gallions Housing Association and have plans for a £200 million mass redevelopment and the creation of a ‘Garden City’ within walking distance of the station. There are quite a few more sites developers will be looking to buy and build on in coming years. Both councils have long neglected Abbey Wood. They seem to ignore the continuing decline. Public areas are in a very sorry state all over the town. With Greenwich Council in charge of almost all of the town the blame must overwhelmingly lie with them. 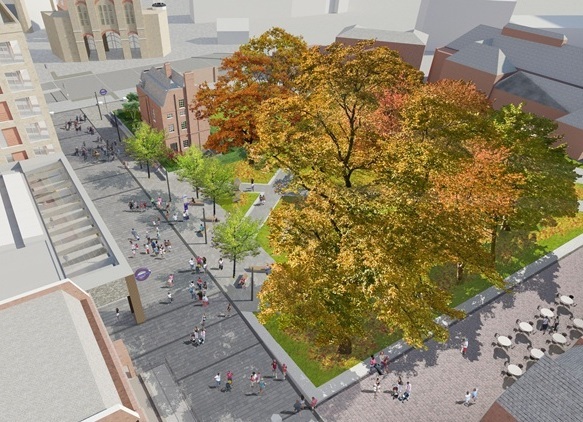 Greenwich have been claiming since the late ’90s (long before it was confirmed) that Crossrail will bring improvements to streets and public spaces as though that was a fix-all solution. Though public realm work around the station will happen in 2018, this will be after 20 years of decline and promises, and will only cover a fraction of Abbey Wood. No plans for other improvements are apparent. There are no mentions of future funding bids to TfL for major town improvement works. There was also no mention of Abbey Wood at all in Greenwich Labour’s manifesto for the recent local election, nor from ruling Tories in Bexley. Crossrail’s chief exec Terry Morgan has also expressed surprise that Bexley Council had not pushed more heavily for Crossrail extensions into their borough, as almost every other London borough had done when their was a chance of greater transport infrastructure. 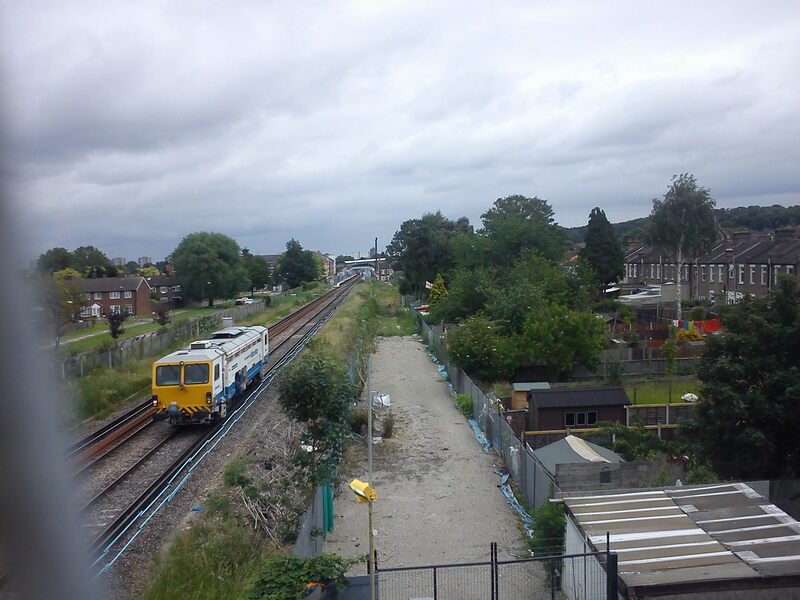 The long term plan is to extend through Bexley to terminate at Gravesend. This would give Bexley stations at Belvedere, Erith and Slade Green. In other Crossrail news there is an exhibition showing plans for public realm improvements at various stations. The Crossrail Places and Spaces exhibition is at RIBA from 16 June and at the Building Centre from 21 July. The Woolwich render appears to show the removal of the tall brick wall surrounding the Arsenal development. Honestly, I don’t think Bexley council cares much for rail. I think they are inclined to think that people take rail to go to/from work and only the lesser well off travel at other times. Greenwich Council on the other hand, don’t seem to be able to do regeneration that well. All that money poured into Woolwich and now M&S is leaving. I remember Woolwich in the early 90s when I was a kid being so much better, now I’d say Bexleyheath / Eltham / Lewisham are better. I wish Crossrail at least went to Dartford. It may of offered places like Erith/Slade Green hope in terms of regeneration. Also may of given the Bexleyheath / Sidcup lines some reduction is overcrowding further up the lines towards Lewisham council area as passengers perhaps found the Crossrail service more appealing.